New December 2016 Among the anemia facts are the numerous anemia types, different kinds of anemia. Here we will review some of the most basic information and some of the most important information about the most common forms of anemia. Next on anemia facts, how they are treated. There are numerous medical treatments with blood transfusions. Little known anemia fact, it is the most dangerous treatment. While you will hear advertisements say Blood saves lives, the truth is, there is no high level studies that show blood transfusions are better than alternative treatments. Some hospitals that have specialized in Bloodless Medicine and Surgery now rarely if ever give blood because the outcomes are so much better without blood transfusions. People will say, "Blood saved my life." While that may be true, what they overlook is the damage the transfusion did to them for the rest of their life. Their immune system has been weakened. 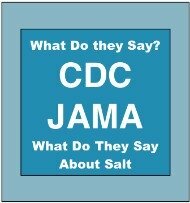 They are at risk for numerous other diseases that may not show for many years. MSIDSThere are numerous diseases like Lyme and up to 20 spirochete infections that there currently are no tests for. These take years to cause neurospirochetosis and what has become known as MSIDS. HIV AIDSAnother anemia fact...the risk of HIV transmission. Ask any of the 50,000 people that got AIDS from tainted blood crisis in Canada if they would have preferred a safer option. While avoiding transfusions is not for everyone, if it is for you, you are in the right place. Hepatitis C Anemia Fact Ask if any of the thousands who got hepatitis C from blood transfusions in the past decade. They may have received the transfusion before the mid 90's and the disease did not show up for a decade. Some will die from it. There was a safer way, a better way that was available. There is a better way available for you today as well. There are a few ways to get health care without blood transfusions. Ultimately, you will need a customized health management strategy to correct the cause if possible and to help your body build the necessary blood. Next on anemia facts, types and kinds, and more specifics. The following are the most common types of anemia. Some are repeated as they may fall into more than one category. Some we have elaborated and provided extensive anemia facts on. Others are more basic and do not have an in-depth consideration (yet). While it is most often caused by excessive blood loss, other factors can also cause this. Menstrual anemia is one form of iron deficiency anemia. Other causes include bleeding in the GI tract from a peptic ulcer, gastritis, hemorrhoids or in worm infestation in children. It can also be the result of poorly absorbing iron. This can occur for a number of reasons including chronic diarrhea, a lack of stomach acid (from using drugs like Prilosec) or malabsorption. Diet is an important part of iron absorption. Vitamin C, Ascorbate and Citrate increase the uptake of iron. Avoid plant phytates and tannins which inhibit absorption. Phytates are found in wheat's and certain cereals and tannin, such as found in non-herbal teas. Enzymes also play a role in iron absorption and blood production. While typically treated with iron supplements, treating with the Water Cures Blood Building Protocol has often been found to work when traditional supplements and medical treatments alone will not work. Is a blood disorder of the bone marrow not making enough new blood cells. 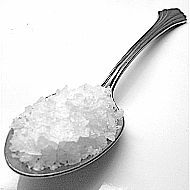 This causes secondary health problems such as irregular heart beats (arrhythmia's), enlarged heart, heart failure. People with aplastic anemia are more prone to get infections and are at greater risk for bleeding disorders. Certain medicines such as chloramphenicol and ticlopidine. It is also associated with autoimmune disorders like lupus and rheumatoid arthritis. Infectious diseases such as hepatitis, Epstein-Barr virus, cytomegalovirus, parvovirus B19, and HIV may be associated with the cause. While typical treatment include blood transfusions, stem cell transplants, and medication, there is good reason to consider the Water Cures Protocol. It can work as a pre-procedure preparatory measure or can work on its own for those who want to consider options first or cannot afford medical treatments. The basics of fluid and electrolyte balance maintenance produce a flushing of toxins out of the body at the cellular level. No medication alone can do this. Additionally, the advanced protocols also boost the immune system, helping to further detoxify the body. 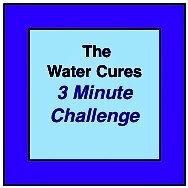 Really, the Water Cures Blood Building Protocol is perhaps the best way to remove the cause of aplastic anemia, such as exposure to a toxin or correcting the auto-immune condition. Is a condition of red blood cell destruction and removal from short of their normal life lifespan. Sometimes it is caused by diseases. Other times it may be inherited. While the symptoms of all types of anemia include fatigue, the lower red blood cell count of hemolytic anemia can also cause shortness of breath, dizziness, headache, coldness in your hands or feet, pale skin, gums and nail beds, and chest pain. Babesia Additional Signs: In the case of Babesia infection, additionally there may be low and unstable blood pressure, very low platelet count hrombocytopenia, DIC or disseminated intravascular coagulation, also known as consumptive coagulopathy), which may lead to blood clots and bleeding. There may be a malfunction of vital organs (such as the kidneys, lungs, and liver). While those with hemolytic anemia may not require treatment, if it becomes severe ongoing treatment may be required. 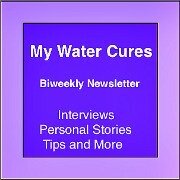 Treating with the Water Cures Blood Building Protocol may be as if not more effective than conventional treatments. There is one word of caution thought. Mega-dose vitamin C is contraindicated in those with G6PD. St Johns Hospital in Cleveland Ohio has reversed DIC without the use of blood transfusions. They basically used the basics of the Water Cures protocol without the oral use of salt and water, instead, using IV saline for managing fluid and electrolytes. The following is another of our anemia facts that you will not on most other anemia sites as of December 2016. However, it is just as serious as the worse anemia that you can have. Certain infections and substances can also damage red blood cells and lead to hemolytic anemia. While the body makes normal red blood cells initially, something causes the destruction of the cells before the normal life expectancy of the cells. Dark screen microscopy may provide clues to the cause, the infection of the blood cells by spirochetes, cocci and gram negative rods that are so slow growing, they do not cause typical septic responses and there are no accurate tests for determining the type of bacteria. Additionally, some can only be detected after dosing with antibiotics, as with the Lyme paradox. Immune disorders, infections and reactions to medicines and or blood transfusions can also cause hemolytic anemia. Thalassaemia, an inherited blood disorder, causes our body to decrease the production of healthy red blood cells. The cells produced may have less than optimal hemoglobin (an iron-rich protein in red blood cells). The two primary types of thalassaemia are alpha- with the severe form called alpha thalassaemia major or hydrops fetalis. And beta thalassaemia: with the severe form called beta thalassaemia major or Cooley's anemia. Thalassaemias most often affects people of Italian, Greek, Middle Eastern, Asian, and African descent. It is a lifelong condition that is usually diagnosed in early childhood. The genes that control how the body makes the haemoglobin protein chains is missing or altered. The red cells in turn do not carry enough oxygen and thus thalassaemia is the result. Mild thalassaemias require little or no treatment. The moderate to severe forms of thalassaemia are treated with blood transfusions, iron chelation therapy, and folic acid supplements. 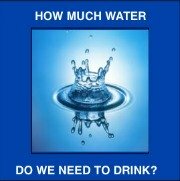 For those who blood transfusions are not an option, the Water Cures Blood Building Protocol could be beneficial. It uses the bloodless medicine and surgery protocols and takes them farther to provide even better results. Sickle cell anemia is a disease that causes the body to make some red blood cells in a sickle or 'C' shape. Normally a red blood cell is like a doughnut without a hole with a depression in the center. A normal red blood cell contain an iron-rich protein called hemoglobin. It carries oxygen from the lungs to the body. Sickle cells have an abnormal haemoglobin that causes the cells to have a sickle shape, which don’t move easily through the blood vessels – they are stiff and sticky and tend to form clumps and get stuck in the blood vessels. In sickle cell anemia, a lower-than-normal number of red blood cells occurs because sickle cells don't last very long. Sickle cells usually die after about 10 to 20 days and the body can't reproduce red blood cells fast enough to replace the dying ones, which causes anemia. Sickle cell anemia is an inherited, lifelong disease. People who have the disease inherit two copies of the sickle cell gene – one from each parent. The most common symptoms of sickle cell anemia are linked to anaemia and pain. Sudden body wide pain, called a 'sickle cell crisis,' is a common symptom of sickle cell anemia. The pain is often in the bones, lungs, abdomen, and joints. There is no cure for Sickle cell anemia. However, here is another anemia fact...as a bloodless medicine and surgery consultant on the treatments of sickle cell anemia, I can say it is possible to relieve symptoms, treat the crisis and improve the quality of life. The key to treating it was the Water Cures Blood Building Protocol. In the hospital, saline IV's are used. Outside the hospital, the oral version of a saline IV, the Water Cures protocol helps. The medical goals of treating sickle cell anemia are to control complications: relieve pain, prevent infections, prevent eye damage and strokes. Sometimes bone marrow bone marrow transplants may provide a cure to a limited sickle cell anemia cases. Sickle cell anemia is most often found in descendants from Africa, India, Saudi Arabia, South or Central American, the Caribbean islands, and Mediterranean countries. Pernicious anemia is caused by a lack of vitamin B12 (a nutrient found in certain foods) that results in the bodies inability to make enough healthy red blood cells. The lack of vitamin B is because it cannot be absorbed due to a lack of intrinsic factor (a protein made in the stomach). There are other reason for vitamin B12 deficiency. 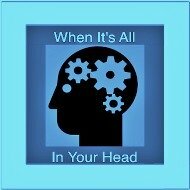 Confusion, dementia, depression, and memory loss. Treated involves replacing the vitamin B12 missing from the body. Treatment may be required for the rest of your life. Have had part or all of your stomach removed. Have had part or all of your small intestine removed. Have an autoimmune disorder involving the endocrine glands (Addison's disease, type 1 diabetes, Graves' disease, and vitiligo). Have GI disorders or diseases that prevent the absorption of vitamin B12. Taking medications that prevent the proper absorption of vitamin B12. Are a vegetarian and don't eat animal / diary and don't take vitamin B12 supplements. If you have a poor overall dietary habits. Fanconi anemia (FA) is a type of aplastic anemia, a rare blood disorder that is inherited. 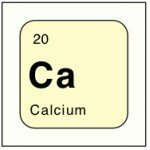 It causes bone marrow failure and prevents your bone marrow from either making enough new blood cells or making abnormal blood cells for your body to work effectively. The abnormal blood cells can lead to health problems like leukemia. While it is a blood disorder, it can affect many of the body's systems, tissues and organs. Those who have FA have an increased cancer risk. The lifespan for those with FA is between 20 to 30 years. The causes of death related to FA are bone marrow failure, leukemia, and solid tumors. So far, as of this writing, we do not know of anyone with Fanconi Anaemia that used the Water Cures Blood Building Protocol. However we personally know and have reports from doctors of those who have ended their leukemia with the Water Cures Blood Building Protocol. Anemia from high-risk surgeries like colectomy, hip replacement, and knee replacement, liver transplant. Ischemic heart disease also called coronary artery disease or hardening of the arteries. Results from cholesterol plaque build up in the arteries of the heart that cause ischemia or the heart not getting enough blood flow and oxygen. Sickle cell anemia The Water Cures Blood Building Protocol has been effective in preventing and treatment in the hospital and out. There are more anemia facts to come. Check back for updates. 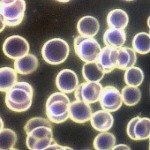 Did we miss some Anemia Facts? Please let us know.... Go to Click Here and Go to the Bottom of the Page Type in Anemia Facts and help us help others.